Parents are being encouraged to outsource their child's school book list to Officeworks this year and save themselves an average of $40 per child, according to recent data from the leading back to school retailer. The average cost of a 2018 school book list is a staggering 32% higher than a school book list in 2017, Australian families are feeling the pinch more than ever. In the last month alone, Google searches for 'money saving tips' nearly doubled as parents flock online for solutions. Consumer finance author and mother of two, Jody Allen, is encouraging parents to save themselves the time, stress and money by outsourcing their child's school book list now. "-Price is parents' number one concern when sending their kids back to school, yet more than half of parents continue to tick the box on their school's direct booklist supplier, which is the expensive option! 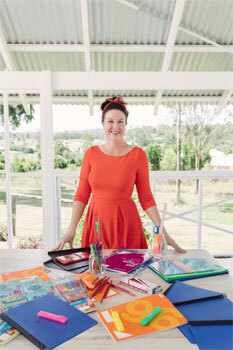 "I'm all about living well for less and recommend that parents get organised now and join those who have already taken advantage of Officeworks' free School List Service, to relieve a bit of the pressure, an already expensive and frantic time of year,'" she said. The Officeworks School List Service gives parents the opportunity to upload their child's school list easily online or drop off in-store. It's picked and packed by the team within 48 hours and parents will receive a text when its ready. Parents and children can choose colour and substitution preferences, and, if they're going on holiday, they can collection on a date that suits. Jody Allen is also the founder of one of Australia's largest online networks for mothers 'Stay At Home Mum', with over 600,000 members within the online community. Jody uses SAHM to show how 'being frugal' can be cool. Question: Why do you think parents are generally more concerned about the cost of living this year than last? Jody Allen: Each year is getting financially tougher for families, energy prices are increasing, parents are having to working harder and longer hours, and having the latest tech gadgets and cool toys are no longer a treat but have become an expectation from kids. Recovering financially from Christmas and then being faced with the costs of getting kids back to school ready shortly after, it's no wonder cost is the biggest concern for parents during the December – January period. Question: How did you approach back to school shopping? Jody Allen: In years past I always ran around like a chook with my head cut off. I'd go to all the stores with kids in tow - and it was stressful. This year I decided I'd be more organised and did everything online - in my pyjamas. It was fantastic. Question: Were you able to minimise costs? Jody Allen: Absolutely! By using the free Officeworks School List service, I was able to save approximately $40 per child compared to the cost of purchasing all the school gear from my local newsagency which I have done so in previous years. That's a lot of wine! 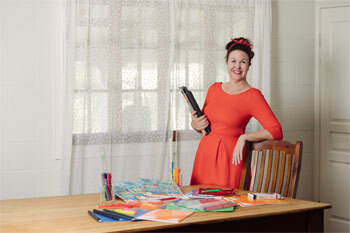 Question: Did you use the Officeworks School List Service? Jody Allen: I did, this is the first year I have used it, and I will be using it forever. There was no stress, it was free and I even managed to save an extra $40 per both boys.... School holidays are busy - I still have to work and having the boys home at the same time is stressful enough without having to drag them around the place for school supplies. I uploaded my boys' school list online, the Officeworks team picked and packed all the supplies that were on each list and I received a text 48 hours later letting me know that my items were ready to be collected. Question: What advice do you have for saving costs around back to school time? Jody Allen: Try and set up a bit of a 'fund' for any added school cost. Such as excursions, extracurricular activities, etc. I allow about $20 per pay to go directly into this account - so I don't even see it. It is fun to see how fast it grows and knowing that the money is already there saves my sanity. I hate stressing about money. Question: Can you tell us about Stay At Home Mum? Jody Allen: Yes, Stay at Home Mum is probably the largest 'blog' in Australia - we focus on Mums (more so than kids) and there isn't a topic that we won't talk about - even the icky sticky ones. We are read by nearly a million Aussie mums per month. It is a really lovely community of mums with no judgment - which is tricky on social media. They give me all the ideas on what to write about! Question: What inspired the creation of Stay At Home Mum? Jody Allen: Frugal living was behind the creation. I had two babies in 12 months and only $50 dollars a week to live on for groceries if I wanted to keep my house. We did it - and I blogged about it. I couldn't believe the support and encouragement I received from all the mums out there, that also had amazing money saving ideas. So I saved all that information into the website from the community - because these ideas were gold! And the website was a great place to share all the information for all those Mums, for free. Question: Can you share your ten tips on saving money in busy times (especially the festive period)? Jody Allen: 1. Create D.I.Y Christmas gifts and decorations with existing materials in the house. This is a good activity for the kids to also get involved in and keep them occupied at a low cost. 2. Invest in a few good sized water bottles, especially as the weather starts to warm up. Have one in your bag, one in your car and pack them with you whenever you go anywhere to ensure you don't need to buy bottled water. 3. Get prepared now for purchases that are going to creep up on you when the new school year starts in January. Exploring your options could allow you to save both time, money and stress. 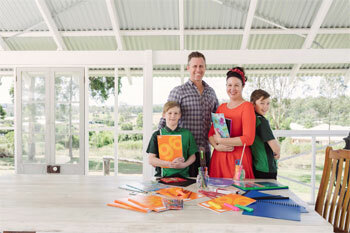 For example, you can outsource your kids' school book list at Officeworks, who offer a free School List Service. You can save on average $40 instead of going directly through the school. 4. Utilise money saving apps like Acorns to force savings when you are notoriously bad at putting money away. 5. Victorian energy prices are due to increase in 2018, shop around now and try and lock in a deal that will help you manage your expenses next year. 6. Purchase gifts that have a double purpose or longevity, tech items such as laptops or tablets are a great gift for children as they can use this both at school and home for years to come. 7. Don't feel pressured to spend what everyone else is on Christmas presents and summer holidays, set a budget that is realistic for your family and work within this. 8. Use your bank account to automatically pay a set amount per week or fortnight for things like electricity, rates and school fees. This will ensure payments are more manageable and you won't get a huge bill every six months or so. 10. Consider using Afterpay with big ticket item purchases, to alleviate the full cost in one hit. The shop now, pay later mechanic works so long as you're responsible about it.